i have featured the bedroom recorded, one man jazz fusion of chicago guitarist jake noel a few times before, but his new album 'to selah and caroline' is the first time i have heard him go acoustic. 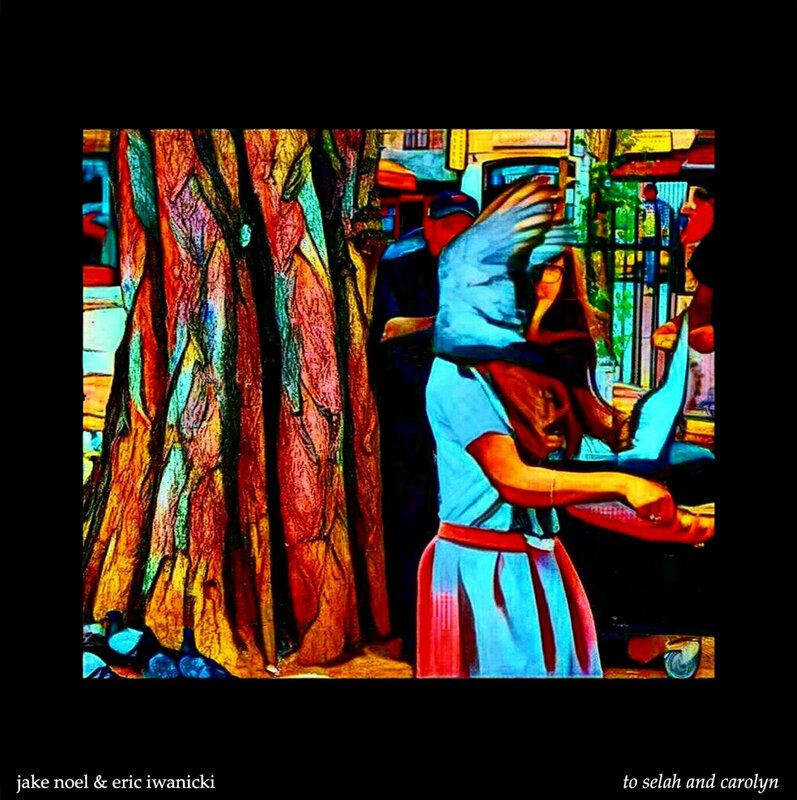 'to selah and caroline' is a collection of duo guitar improvisations by jake and his friend eric iwanaki. the opening track 'stream' is a quiet bubbler that sounds like it's title, but things get strange quickly on the second track 'landslide', which features seemingly random bits of singing, passing, washed out moments of extreme reverb that smear the twin guitars into abstraction, and playing so intense it blows out the sound quality. the rest of the jams seem to fit somewhere between these poles. lots of surprises to be heard on this experimental journey.